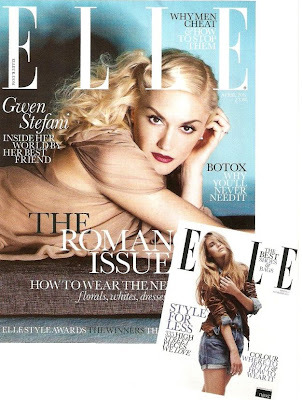 Fashion designer, singer and mother Gwen Stefani covers the April issue of Elle UK; The Romance Issue. Stefani closed New York Fashion Week displaying her fall ready to wear 2011 L.A.M.B. collection. The cover is light and simple with Stefani lying down, playing up with the model composition on the cover, somewhat like with their Kylie Minogue cover last year. A definite purchase, having a feature on the Elle UK Style awards.